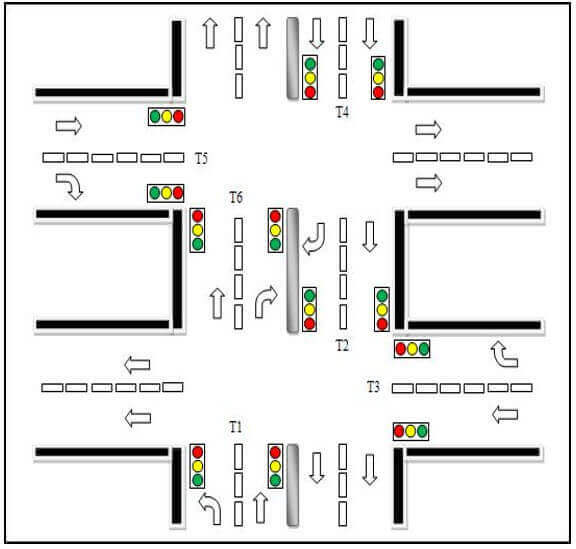 This project aims to design a modern FPGA-based Traffic Light Control (TLC) System to manage the road traffic. This is done by controlling the access to areas shared among multiple intersections and allocating effective time between numerous users, during peak and off-peak hours. You can also Subscribe to FINAL YEAR PROJECT'S by Email for more such projects and seminar. The implementation is based on real location in a city in Telangana where the present traffic light controller is a basic constant-time technique. This technique is inefficient and almost always leads to traffic congestion during peak hours while drivers are given unnecessary waiting time during off-peak hours. The traffic light controller consists of traffic indicators (Red, Yellow/Amber & Green). The goal of this project work is to enforce a Traffic light Control system for a 4 road junction with FPGA. As the FPGA is a brand new technology to the country. Field Programmable Gate Array (FPGA) is an Integrated Circuit (IC) that carries an array of identical logic cells that may be programmed by means of the user. The ALTERA FLEX10K presents high density logic together with RAM memory in each device. FPGA has many advantages over microcontroller in terms of speed, number of input and output ports and performance. FPGA is also a less expensive solution compared to ASICs (custom IC) design which is only cost effective for mass production but always too costly and time eating for fabrication in a small quantity. The heart of the system is a Finite State Machine (FSM) that instruct the unit to light the main and side street lights at suitable times for the particular time intervals. This unit depends on several inputs which are generated outside the system. In order to safely process these external inputs, we can design an input handler that synchronizes asynchronous inputs to the system clock. The input handler also latches some input signals and guarantees that other input signals will be single pulses, regardless of their duration. 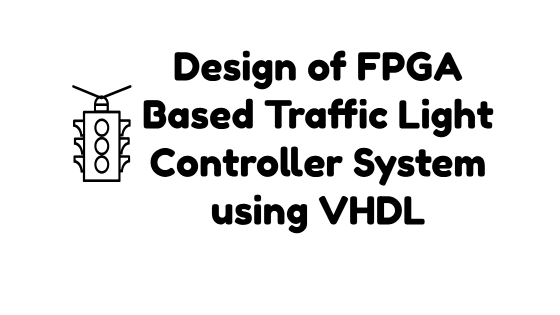 In this project, we are designing an Intelligent Transport System (ITS) application for Traffic Light Controller (TLC) by using Field Programmable Gate Array (FPGA). FPGA have been used for a wide range of applications. After the introduction of the FPGA, the field of programmable logic has expanded exponentially. Due to its ease of design and maintenance, implementation of custom made chips has shifted. The system has been designed using VHDL, and implemented on hardware using XILINX Spartan 3E and Virtex 5xc5vlx110t FPGA kit. The functionality of this design can be easily enhanced. This project report includes full detail about FPGA, application of FPGA's, overview of VLSI, verilog HDL (VHDL), block diagram of traffic light controller system, state diagrams, source code, etc. Use this report for your reference only.